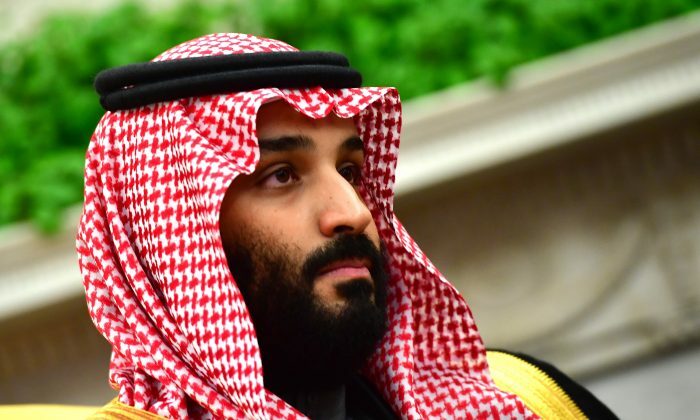 Saudi Arabia is working with the Trump administration to fight terrorism, and on July 4 Saudi Crown Prince Mohamed bin Salman met with the U.S. Special Envoy for the Global Coalition to Counter ISIS. Also attending the meeting were Prince Khalid bin Salman bin Abdulaziz, the Saudi Ambassador to the United States; Khalid Al Humaidan, Saudi Chief of General Intelligence; and Christopher Henzel, the Charge d’Affaires of the U.S. embassy in Riyadh; and other officials. The coalition to defeat ISIS was formed in Sept. 2014, and includes 77 partners. According to the coalition website, its operations go beyond the military campaigns in Iraq and Syria to fight the terrorist organization, and also include operations to dismantle the group’s systems of finance and economy, to prevent the flow of foreign fighters, to restore order to areas destabilized by ISIS, and to counter ISIS propaganda. After coming into office, President Donald Trump has made significant strides in the fight against ISIS. The terrorist group lost control of its strongholds, and its main force is mostly destroyed. Trump has also worked to establish more positive ties with Saudi Arabia, and has become close allies with Saudi Crown Prince Mohamed bin Salman, who convened the first summit of the Islamic Military Counterterrorism Alliance in Nov. 2017. A key focus in the current fight against terrorism is now the Iranian regime, the world’s largest sponsor of terrorism, and which is at odds with the United States and Saudi Arabia.